Officer Laura Meltzer said Monday that Jennifer Harley of Las Vegas was arrested Sunday night after officers responded to a report of a man trying to pull a woman from a damaged vehicle near a crossroads southwest of the Las Vegas Strip. 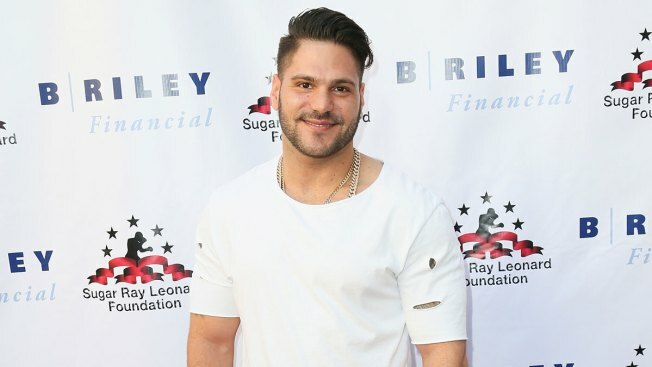 She and Ronnie Ortiz-Magro share a child together. Officer Laura Meltzer said Monday that Jennifer Harley of Las Vegas was arrested Sunday night after officers responded to a report of a man trying to pull a woman from a damaged vehicle near a crossroads southwest of the Las Vegas Strip. Harley's attorney, Michael Cristalli, confirmed the arrest but said he could not immediately comment about the circumstances. Meltzer says Ortiz-Magro was bleeding, that officers determined Harley was the aggressor and that the two had a domestic relationship. Harley and Ortiz-Magro have a young daughter together. Records show Harley was released from jail pending an initial court appearance.